So much of business is about who you know, not just in your immediate industry but also in your surrounding community. Connecting with the people around you can help you gather information about what your audience really wants and needs and can align you with people who share similar goals and visions. It can be a boon for both business and personal development. Still, finding the right people to connect with can be time consuming, and you need to be reasonably sure that the connection is going to pay off. 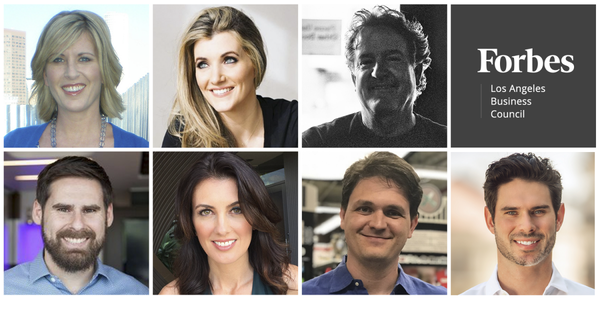 Below, seven members of the Forbes Los Angeles Business Council share their best methods for getting to know all of the right people. Members share their best advice on community networking.Photos courtesy of the individual members. The biggest part of your business is your relationships. Who are you connecting to? In public relations, we know that for our clients, our biggest piece of advice is to connect to your community. How are you contributing to the conversation that your community is having? You can generate relationships organically just by connecting with people in your community. – Nicole Dunn, Dunn Pellier Media, Inc. I volunteer at local charities and am currently serving on the board of Project Angel Food. I have also chaired and co-chaired a variety of fundraisers and galas. I find the lasting business connections I make are with likeminded people. I definitely have discovered many through my philanthropy efforts locally. – Diana Bianchini, Di Moda Public Relations, Inc.